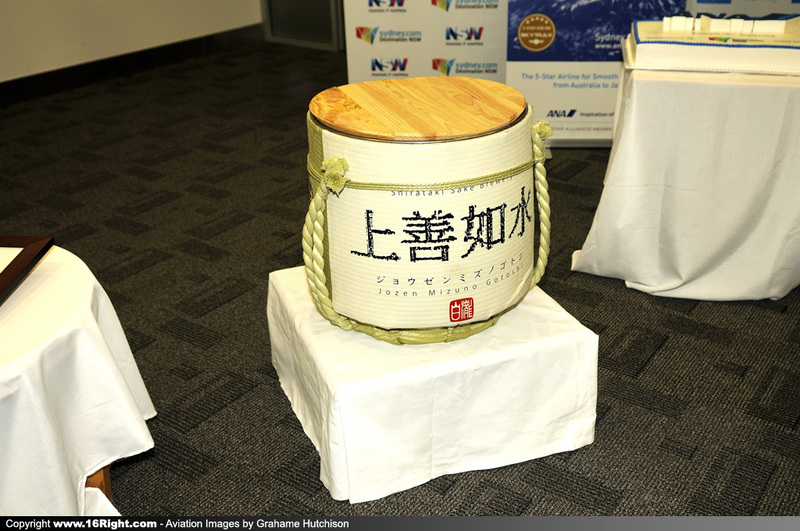 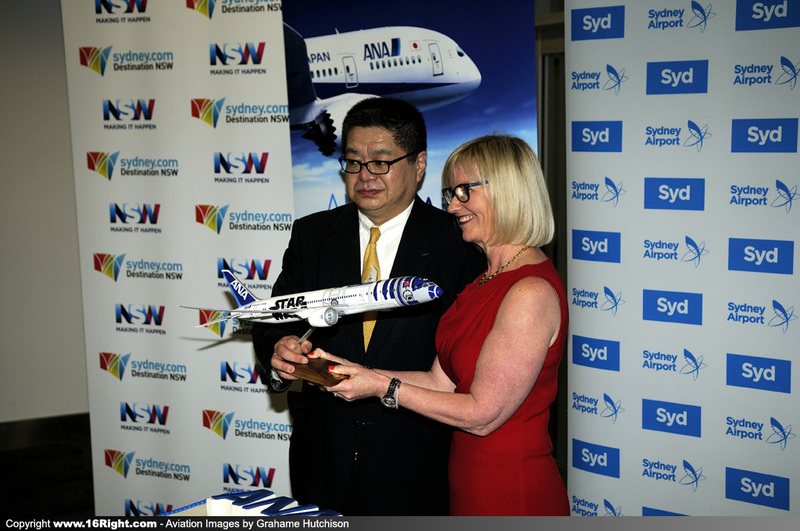 Sydney Airport Managing Director and Chief Executive Officer Kerrie Mather said, “We’re excited to welcome ANA to Sydney Airport and Australia, offering an excellent product for Australians and Japanese alike. 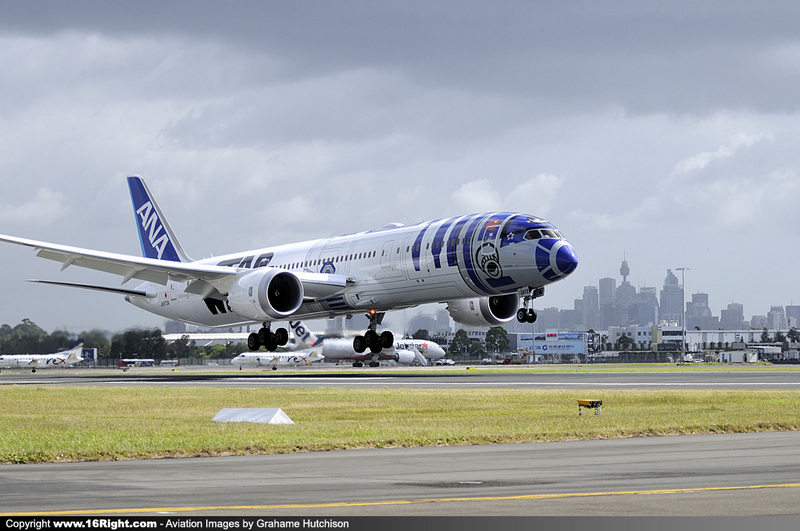 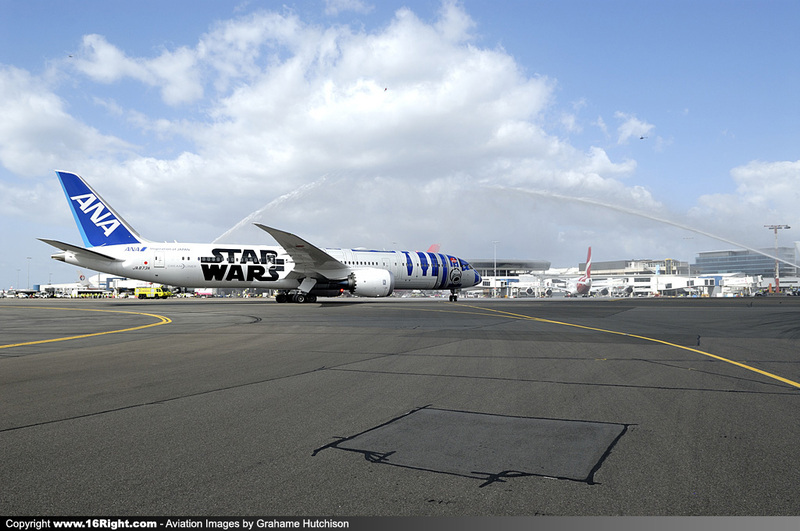 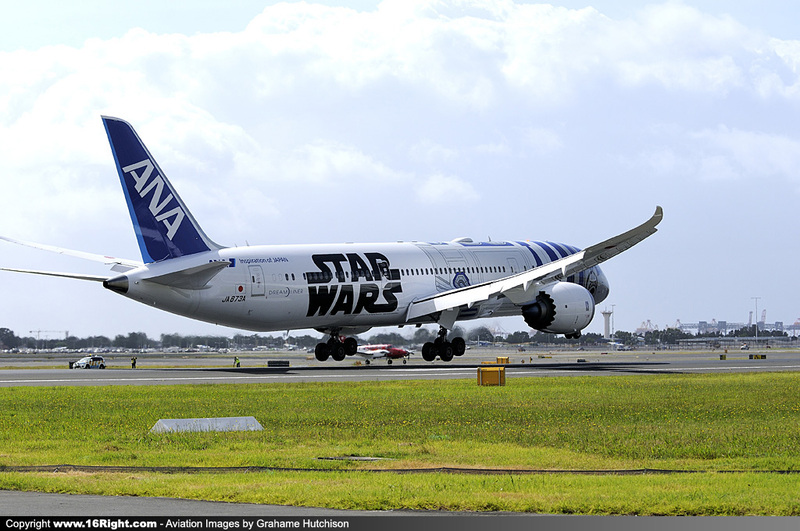 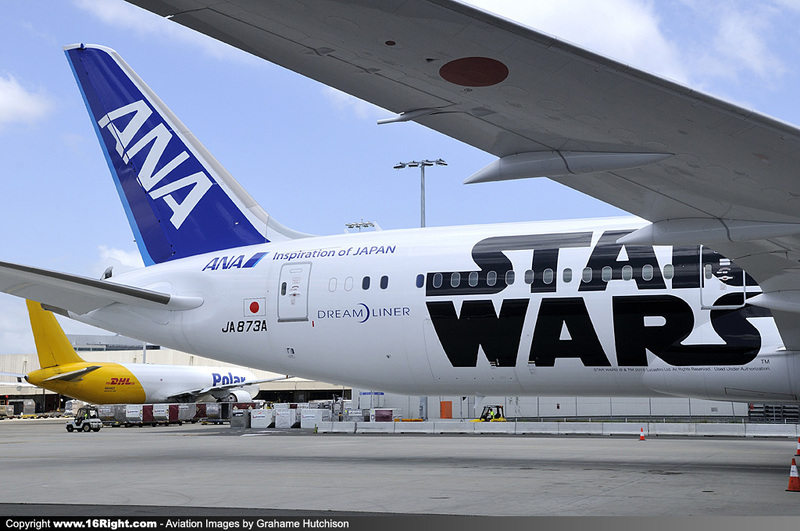 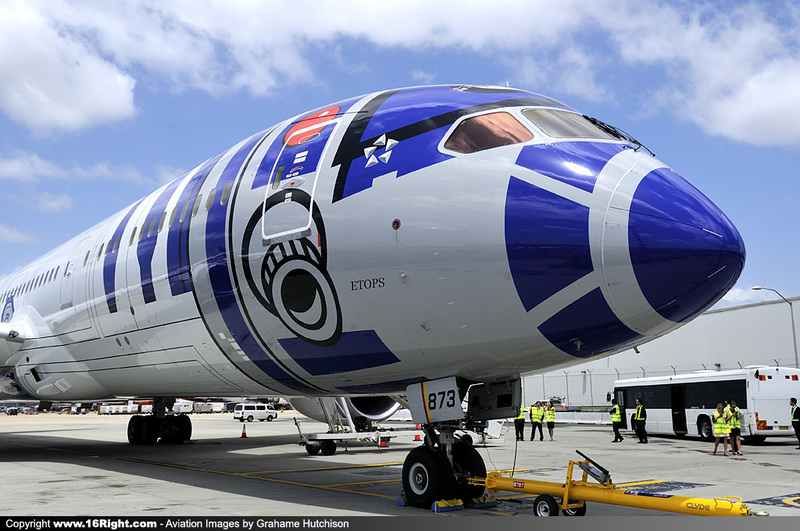 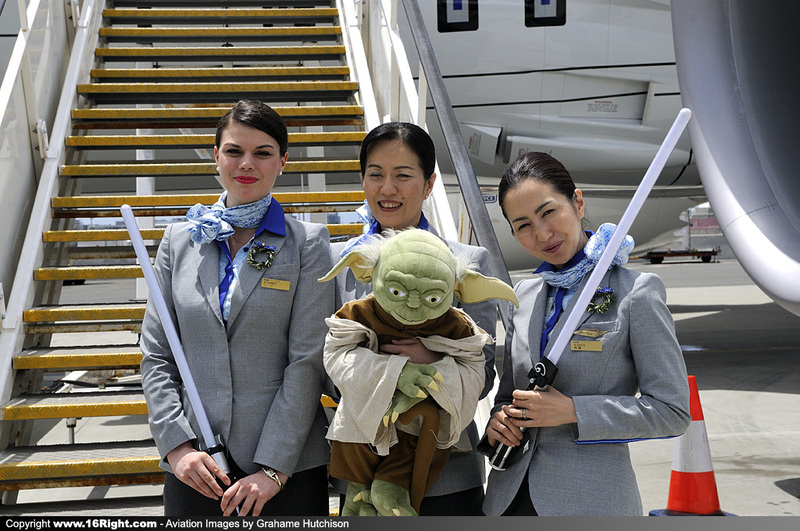 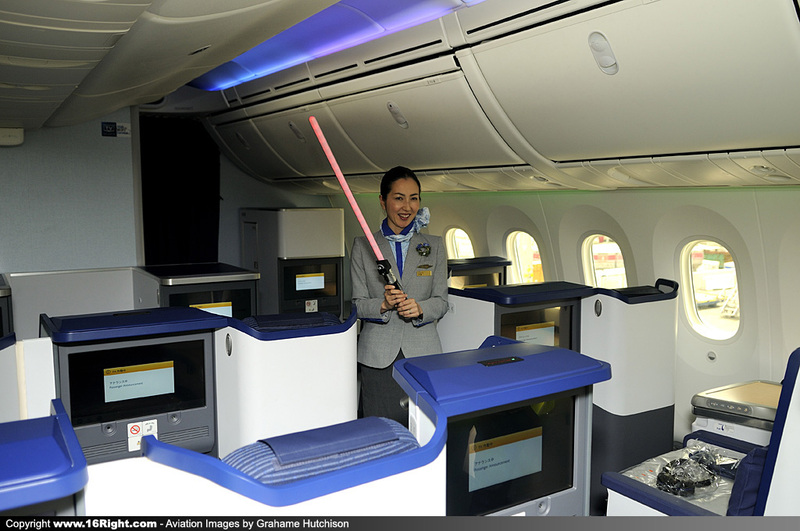 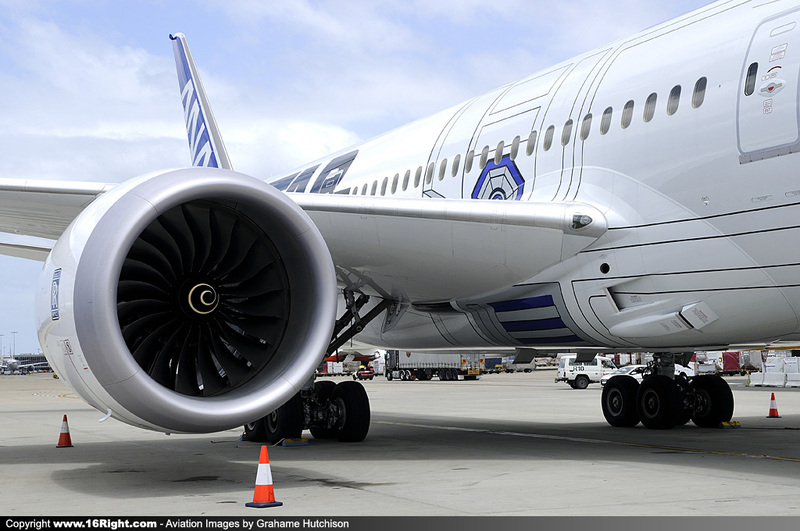 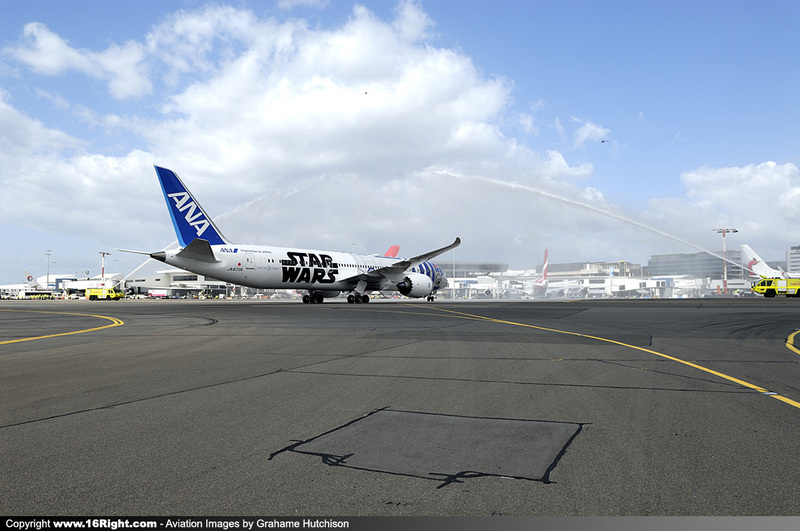 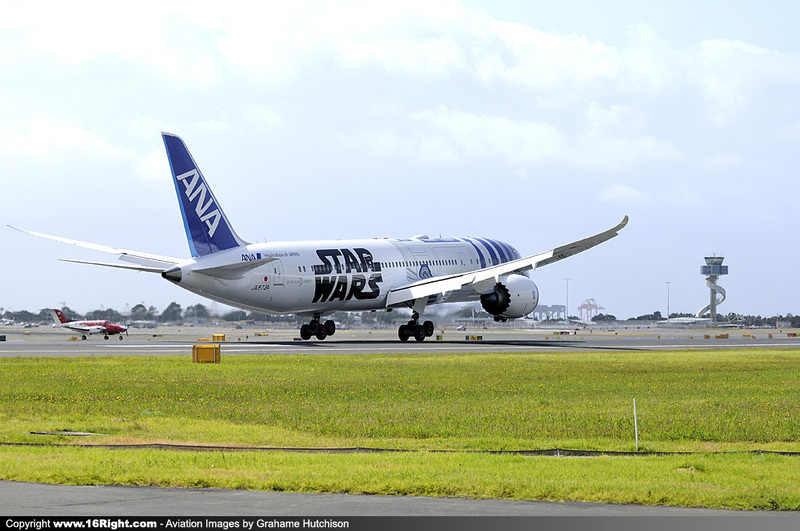 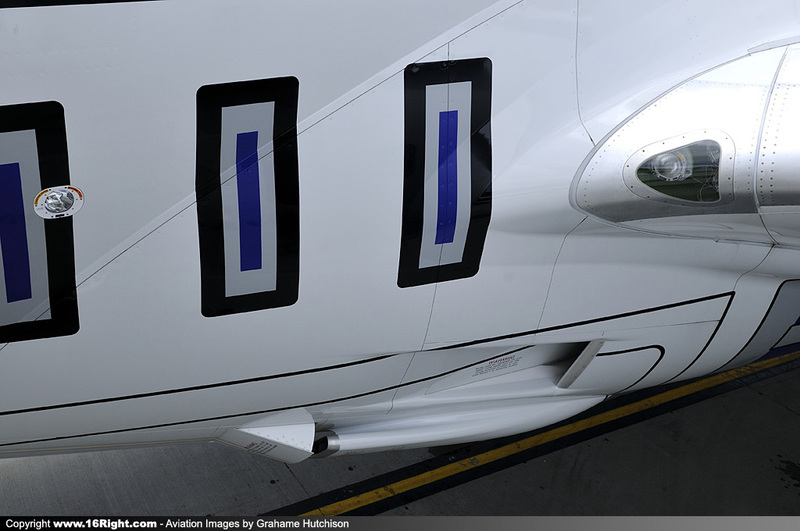 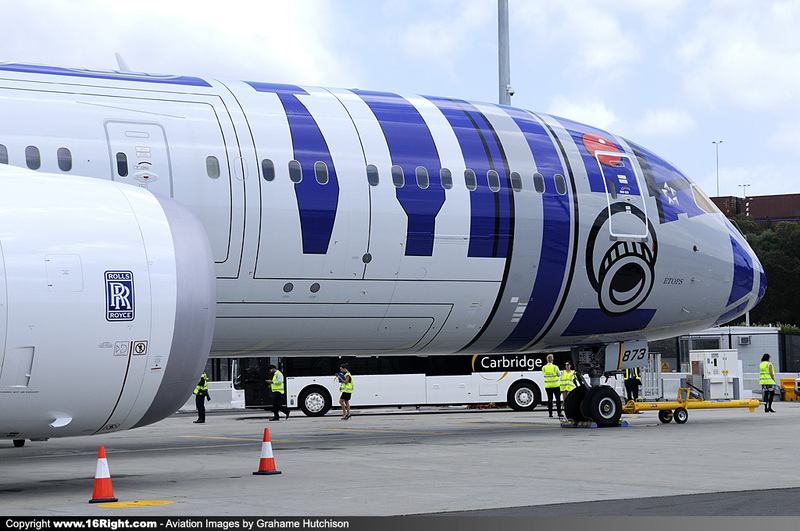 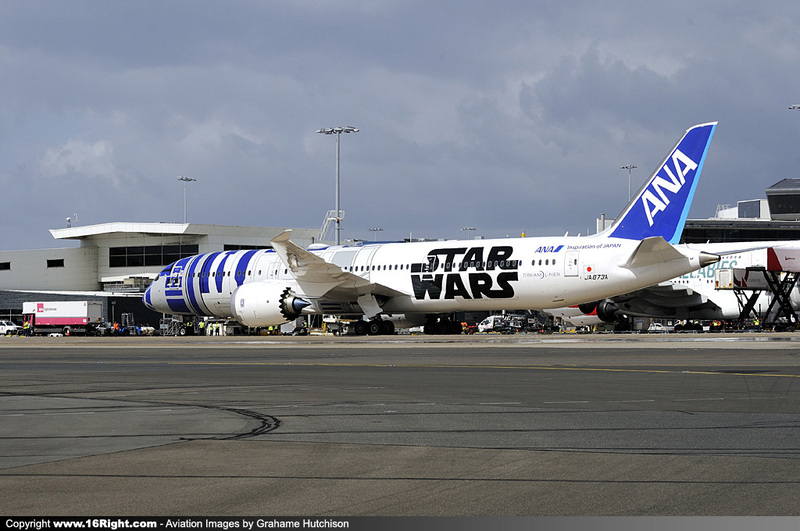 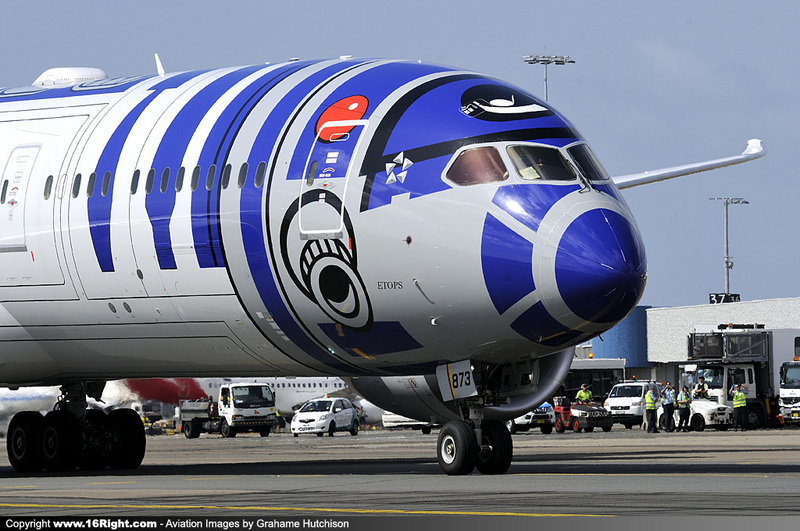 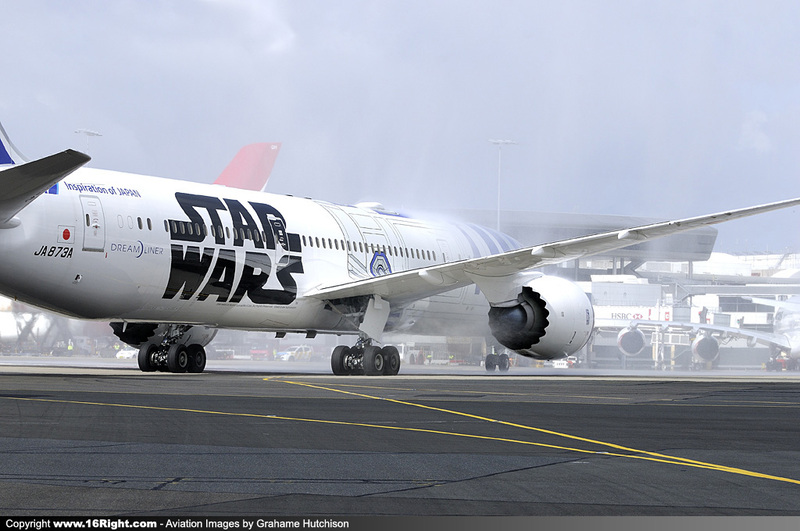 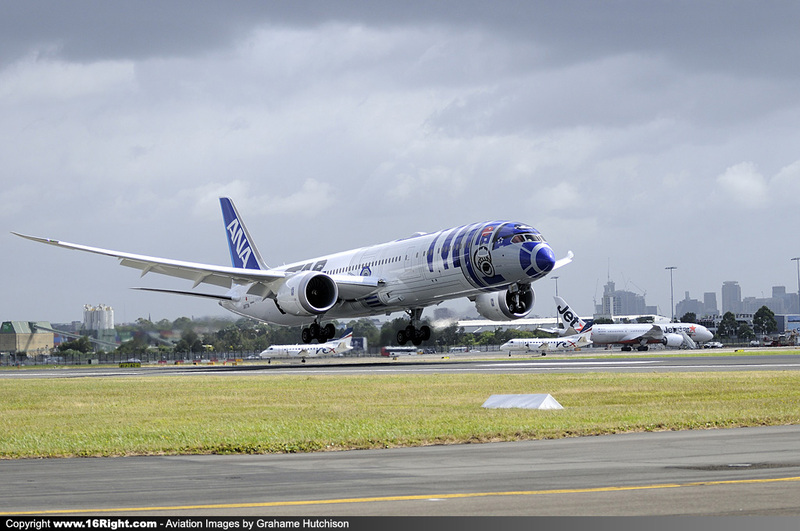 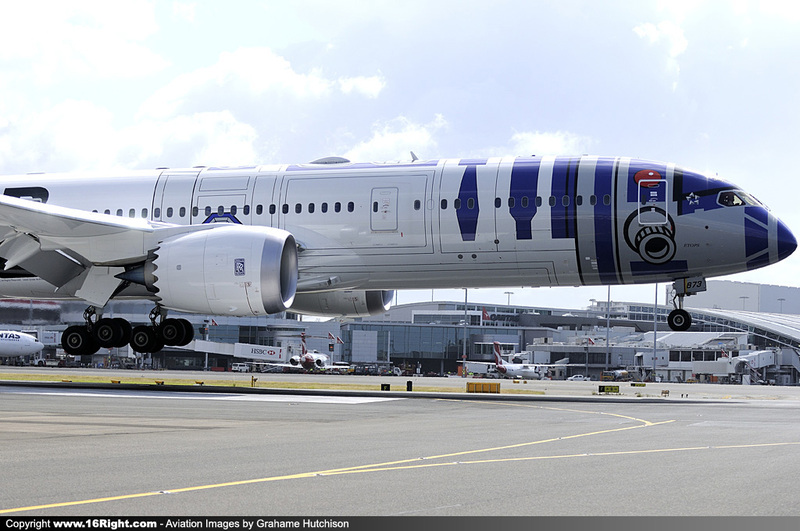 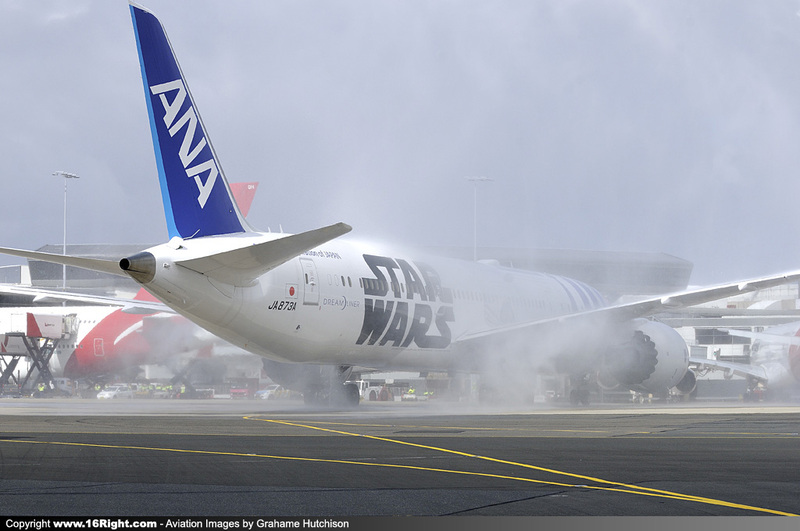 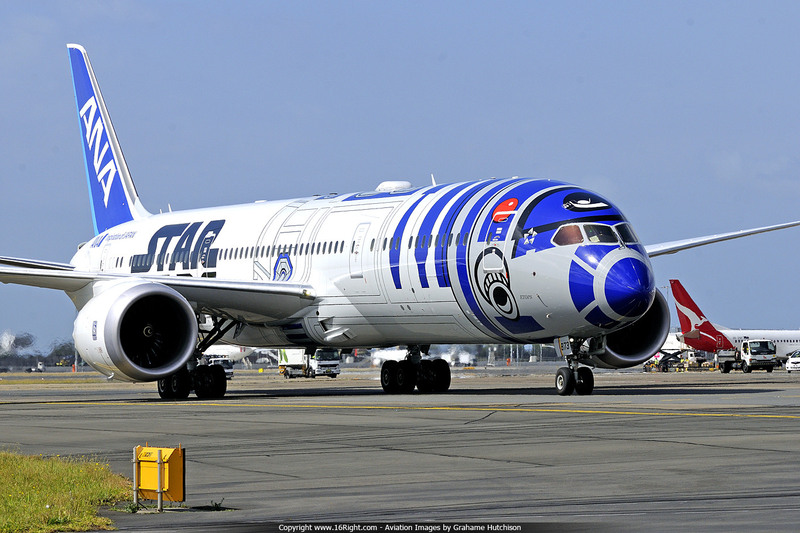 We’re also thrilled to showcase the aircraft’s unique R2-D2 livery for passengers and fans in Sydney, and for the first time in Oceania. 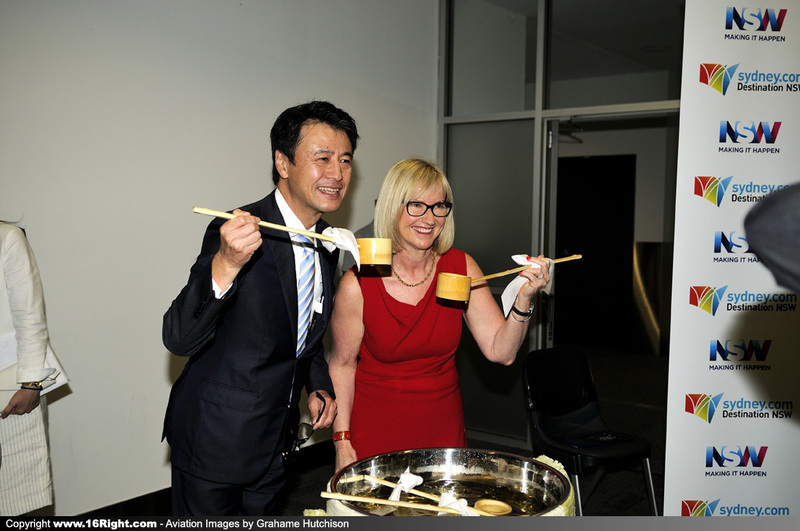 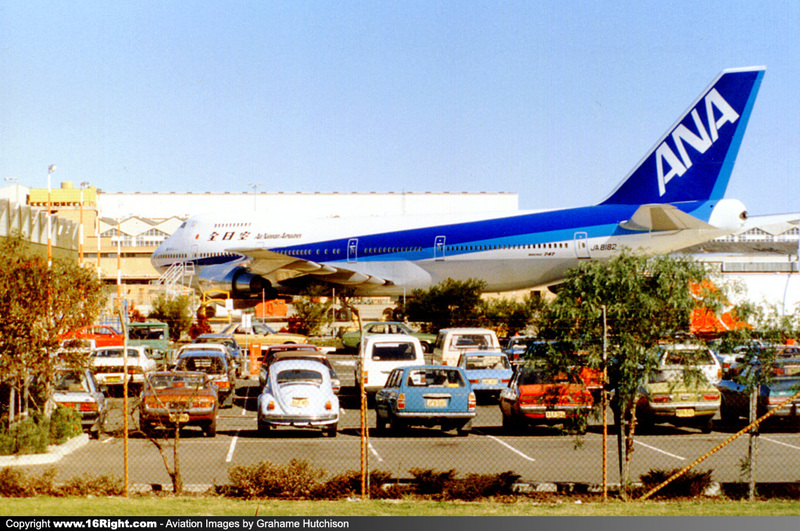 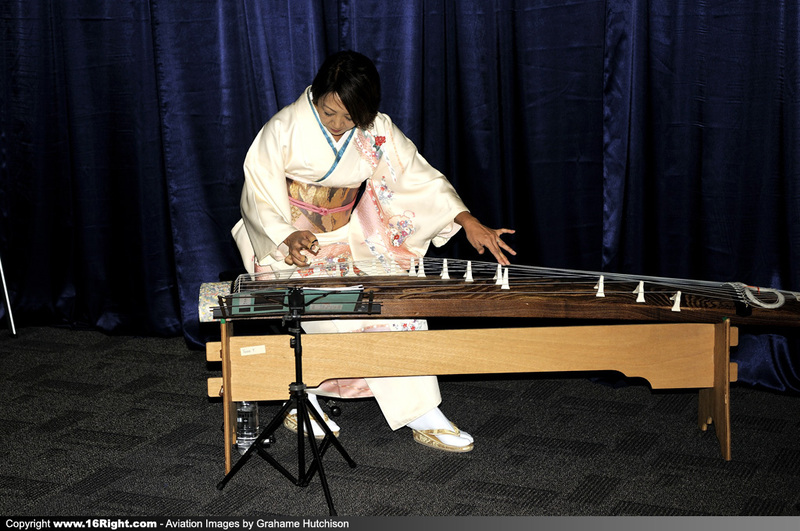 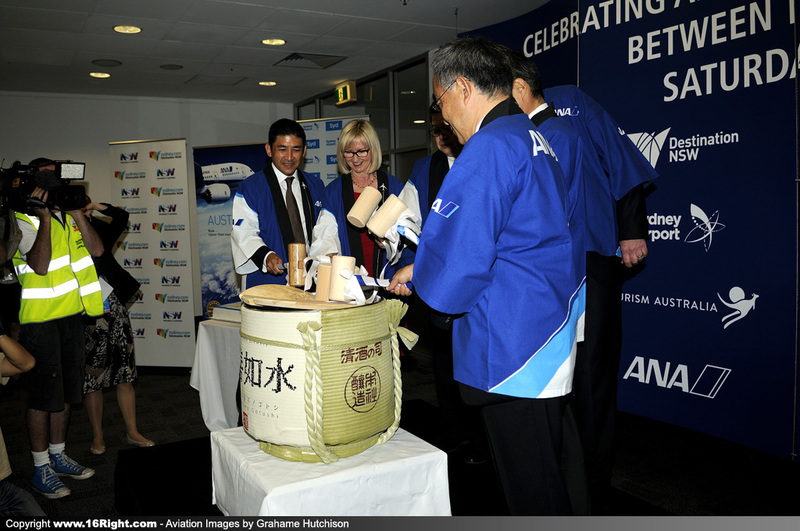 The arrival of ANA is great news for tourism and trade, bringing an additional 36,000 Japanese visitors to Sydney each year and contributing an anticipated $74 million in additional annual visitor expenditure to NSW". 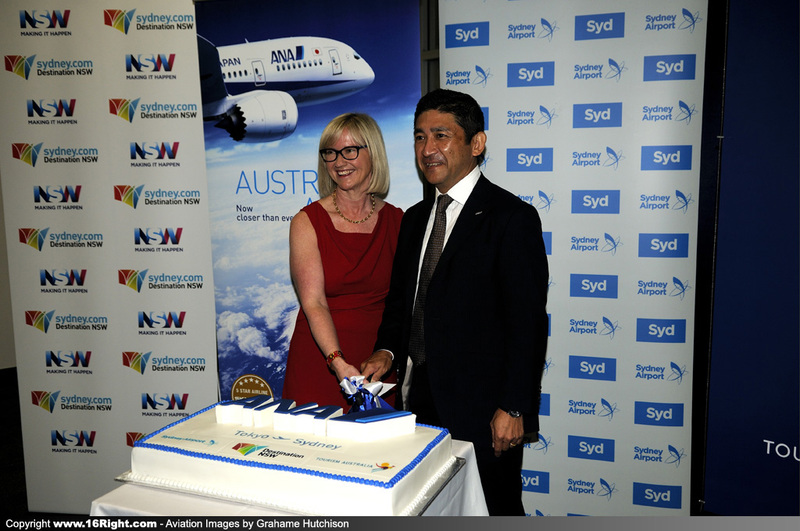 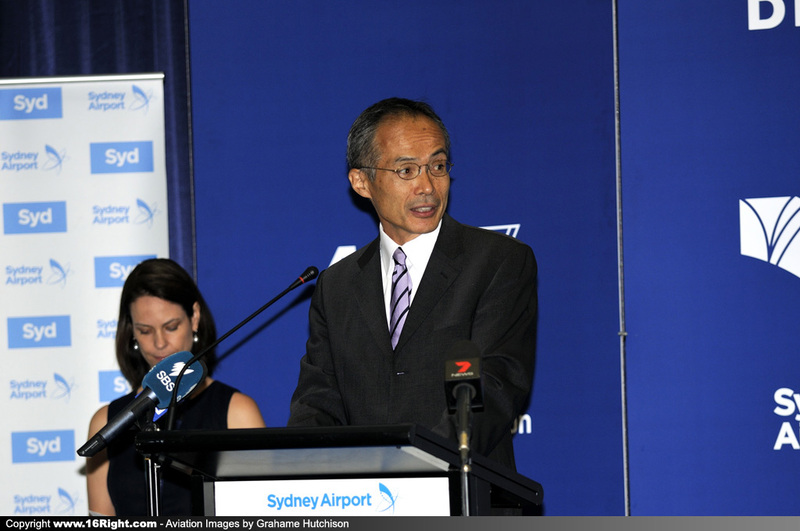 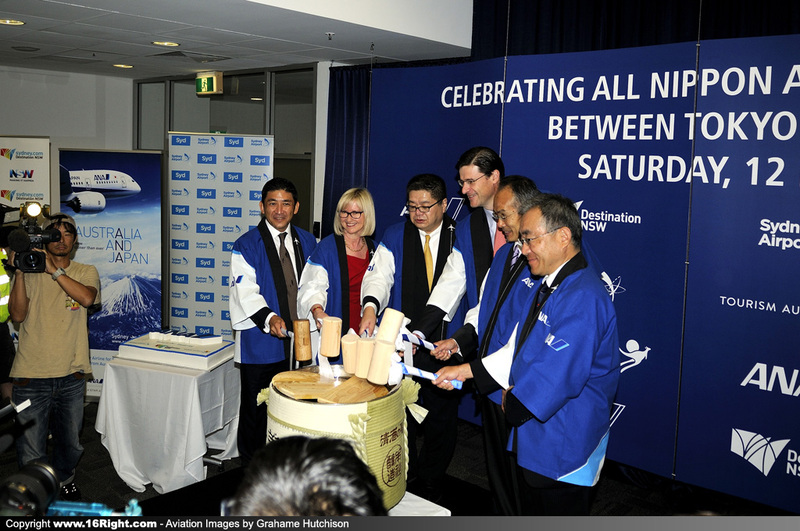 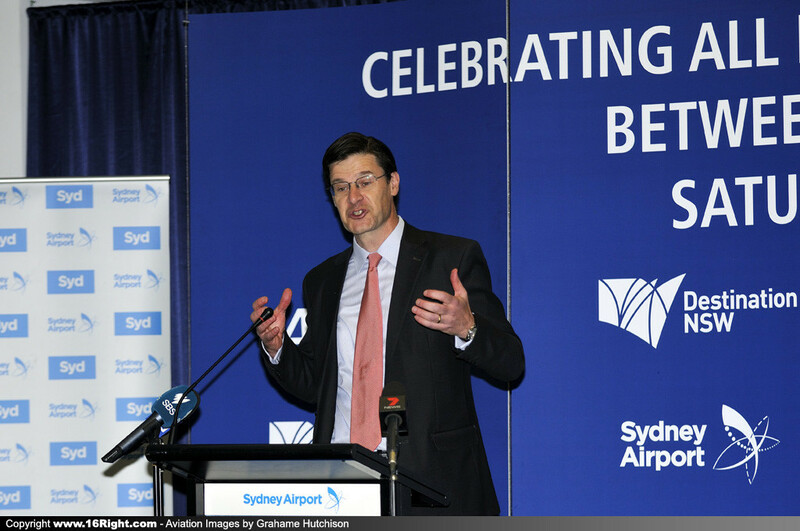 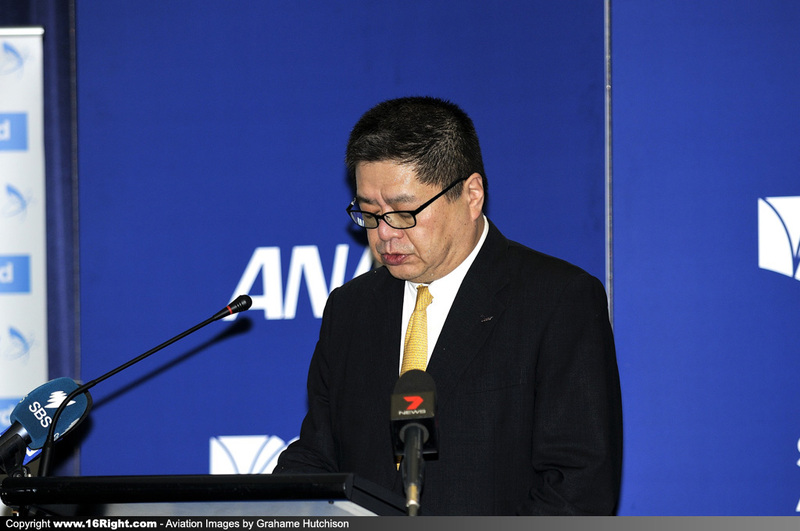 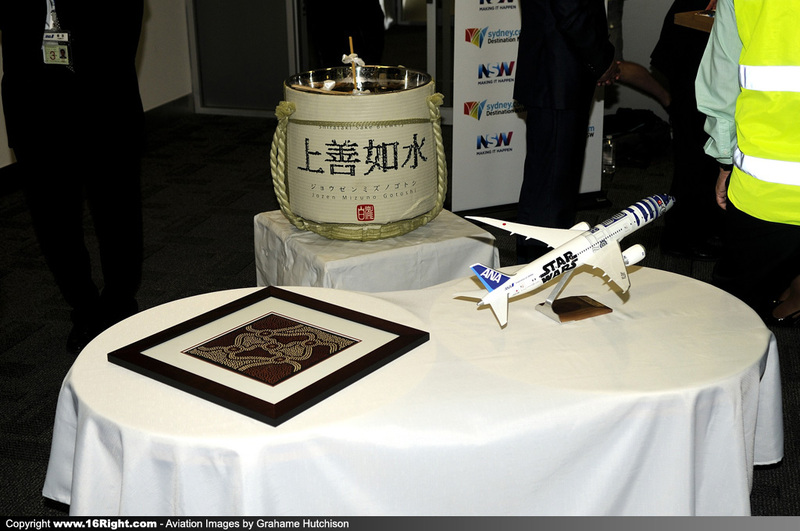 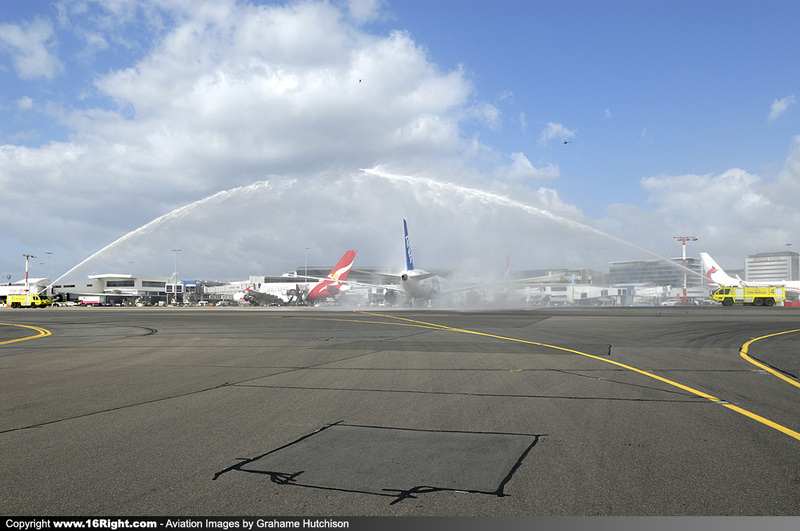 ANA President and CEO Osamu Shinobe said, "Today's launch of services to Sydney marks the opening of our fourth international destination in 2015. 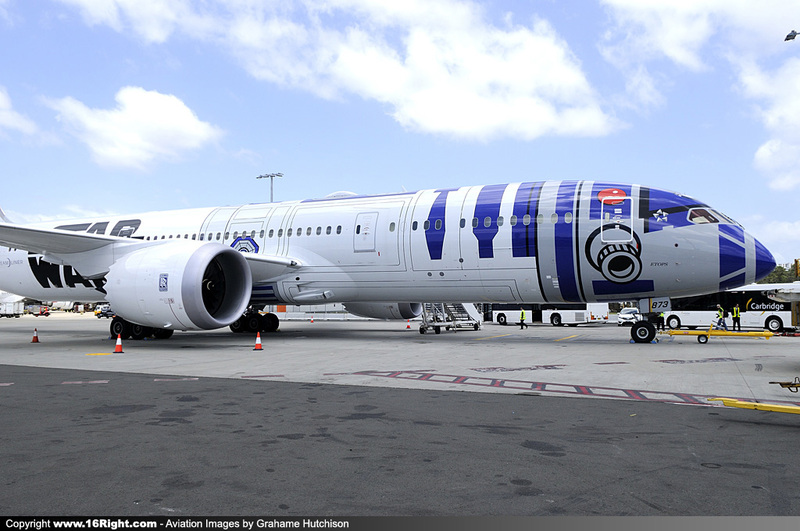 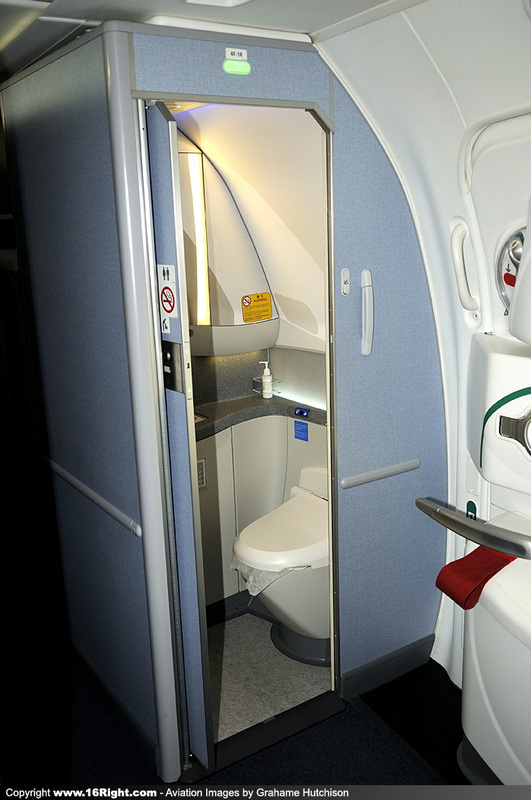 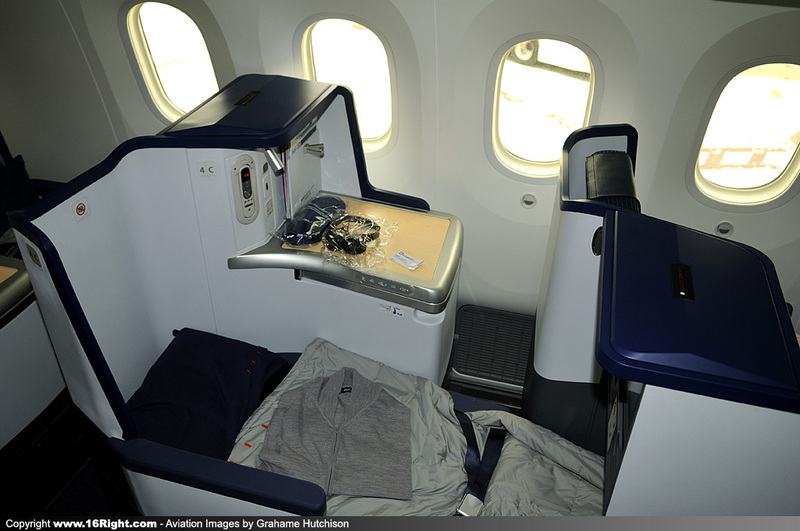 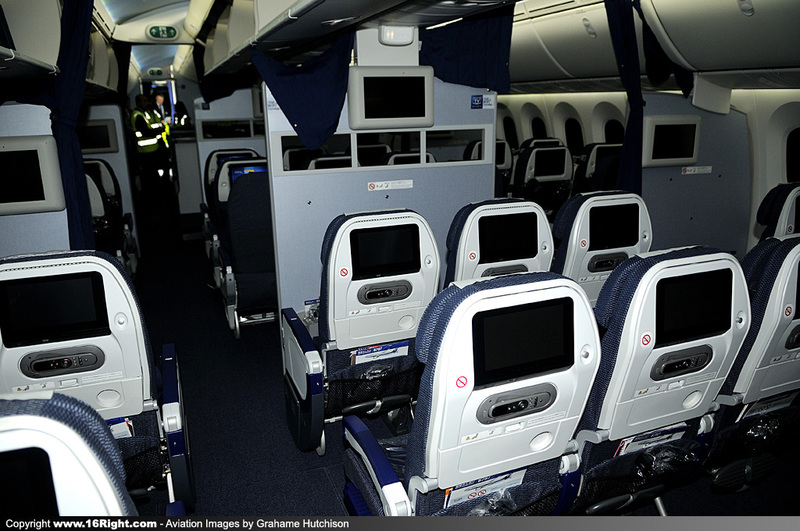 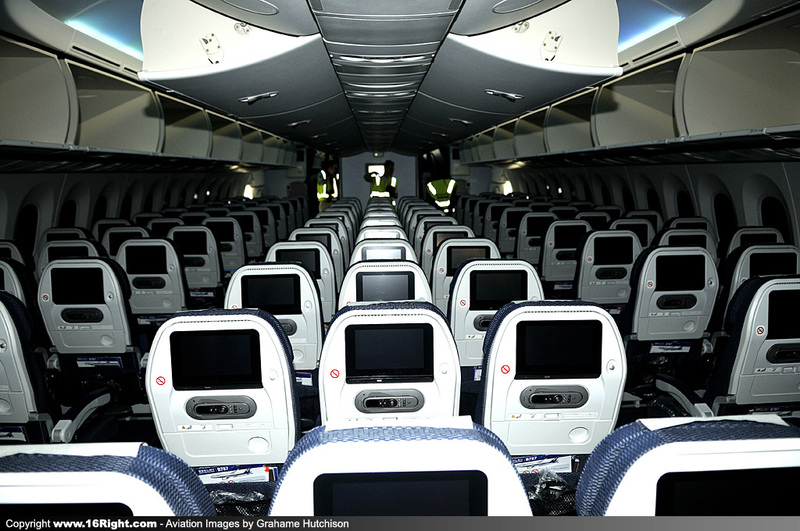 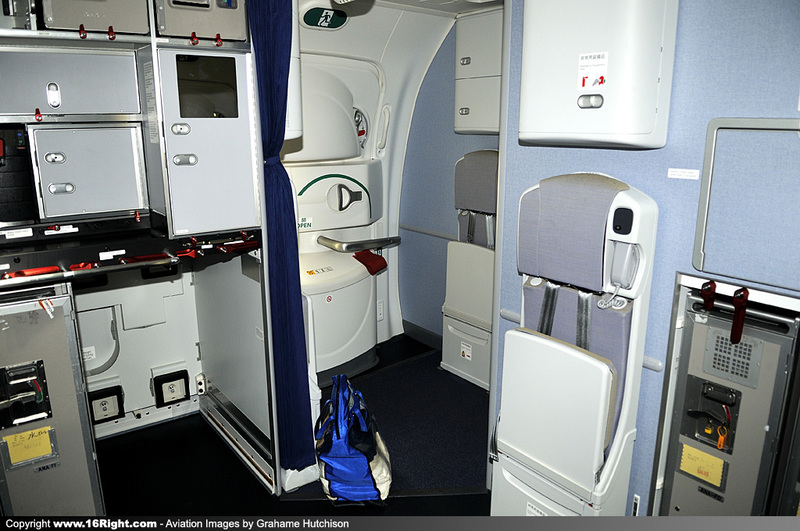 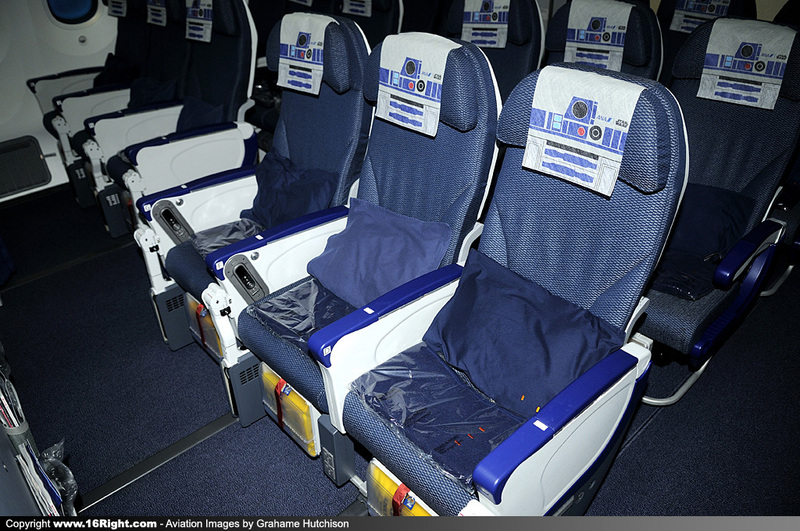 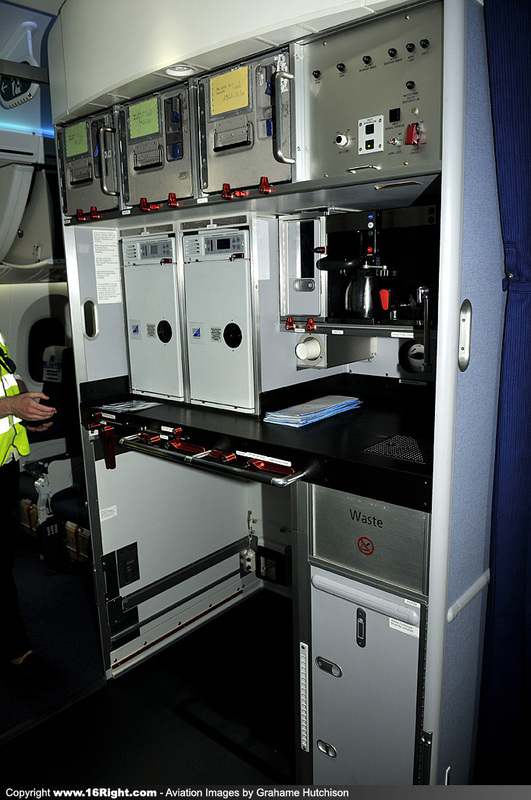 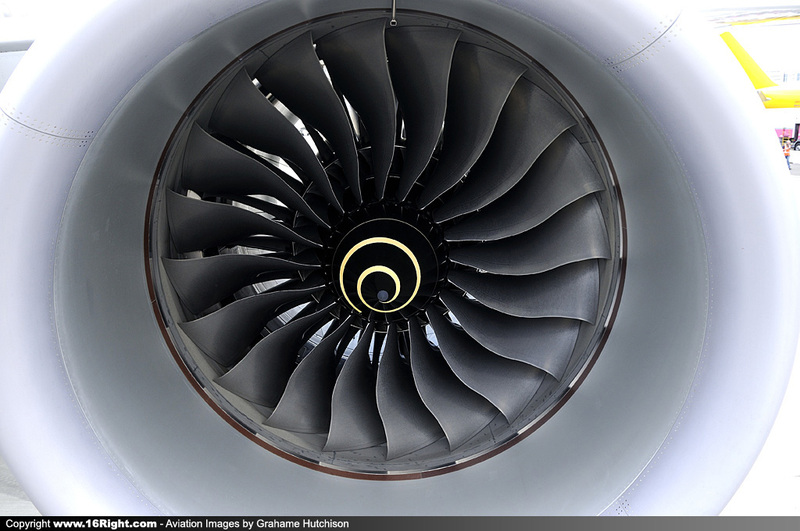 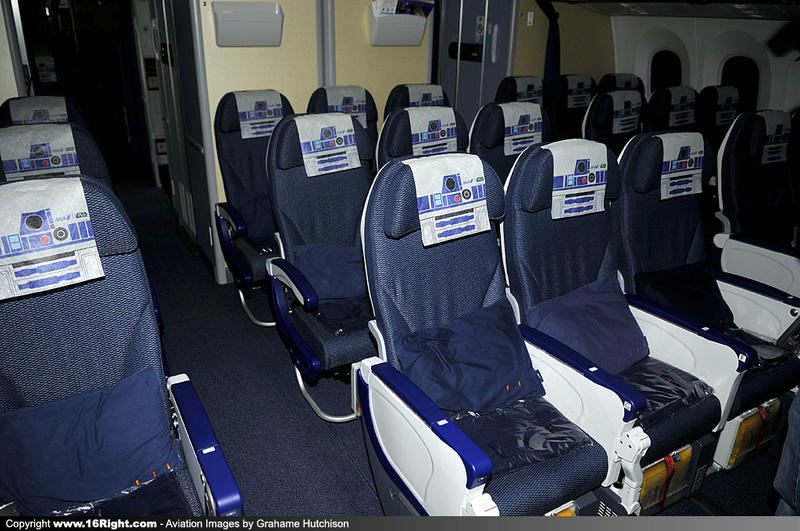 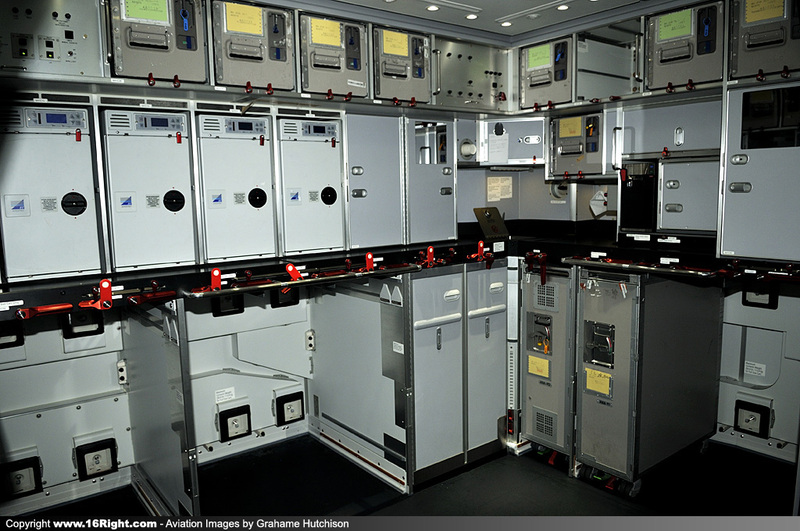 The first roundtrip flight was fully booked, and we are happy to report that reservations are strong. 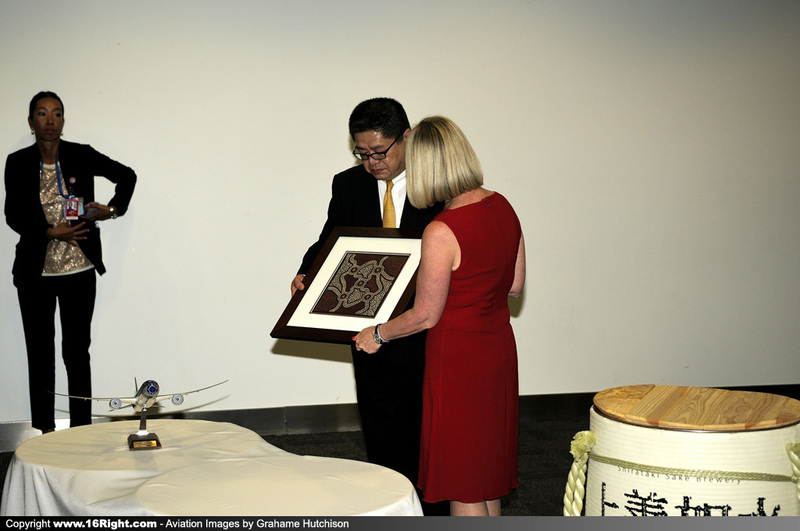 We are also excited by the prospect of bringing more Australian travellers to Japan and vice versa. 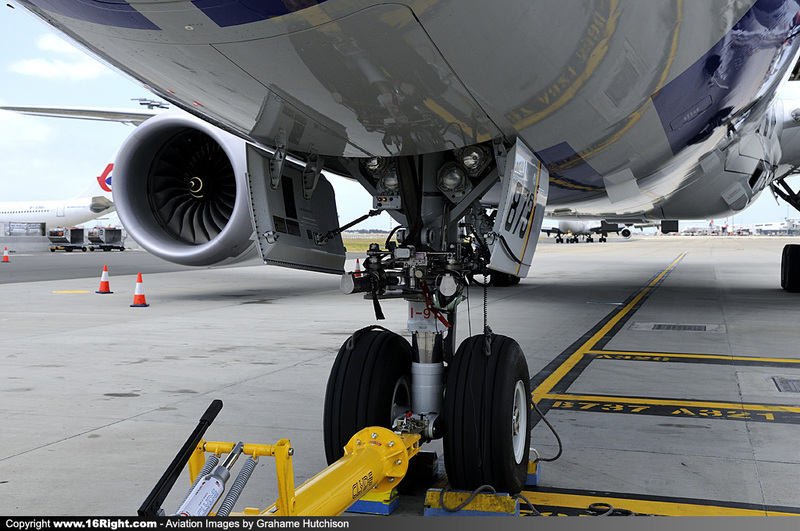 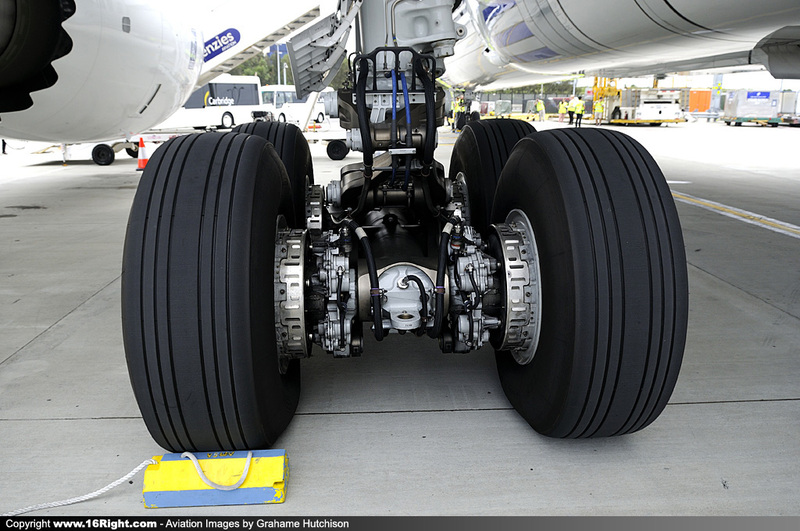 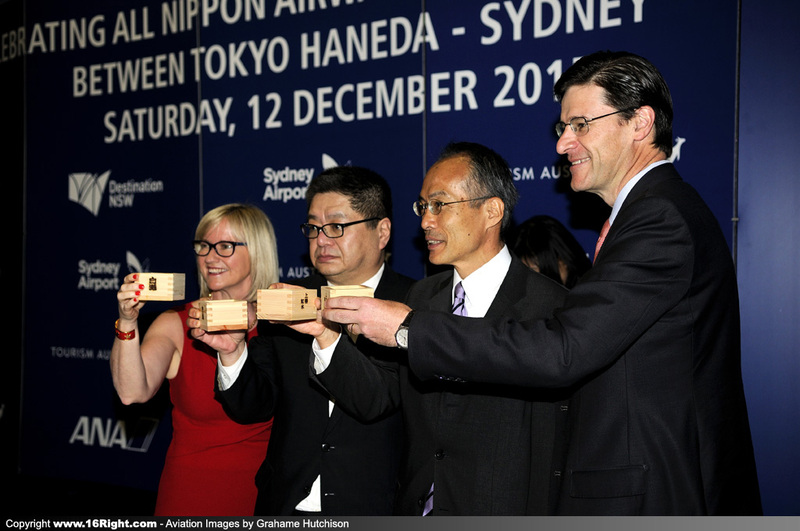 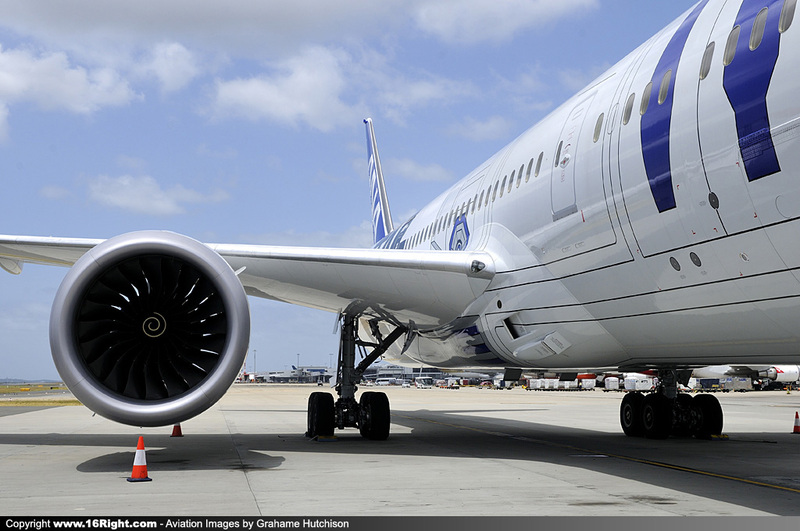 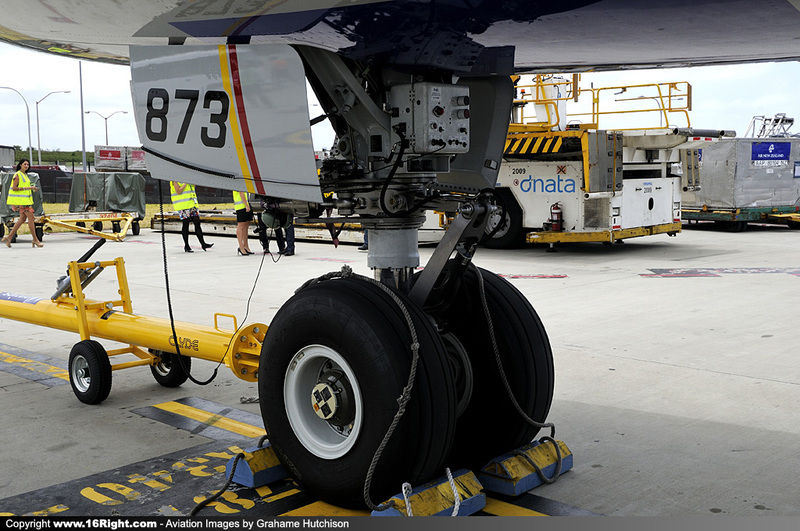 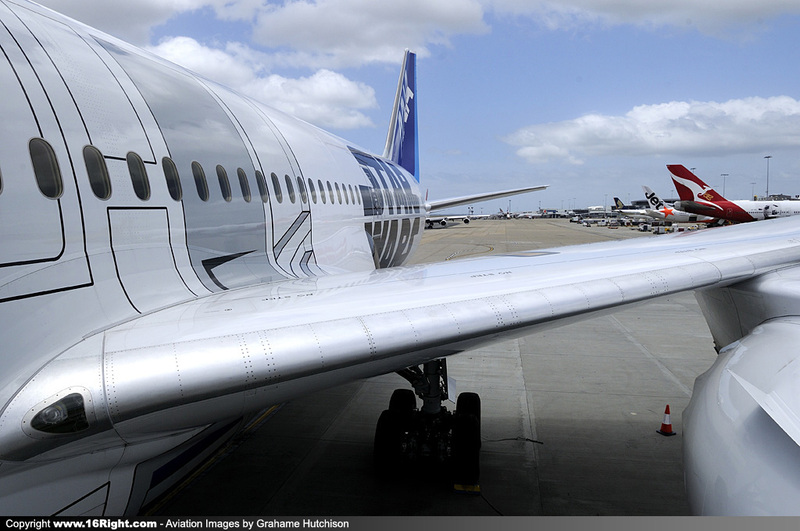 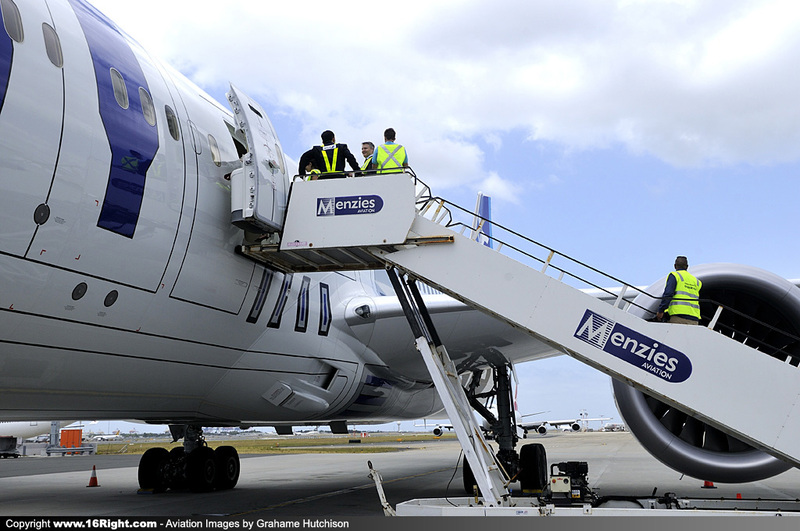 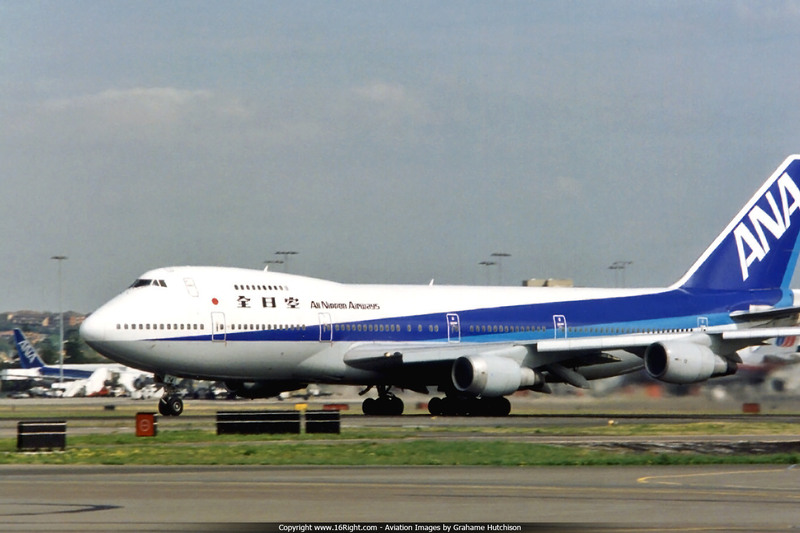 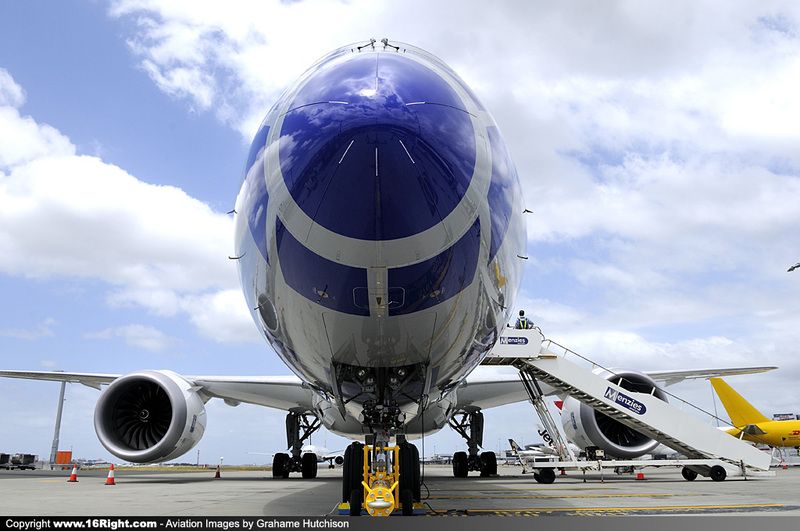 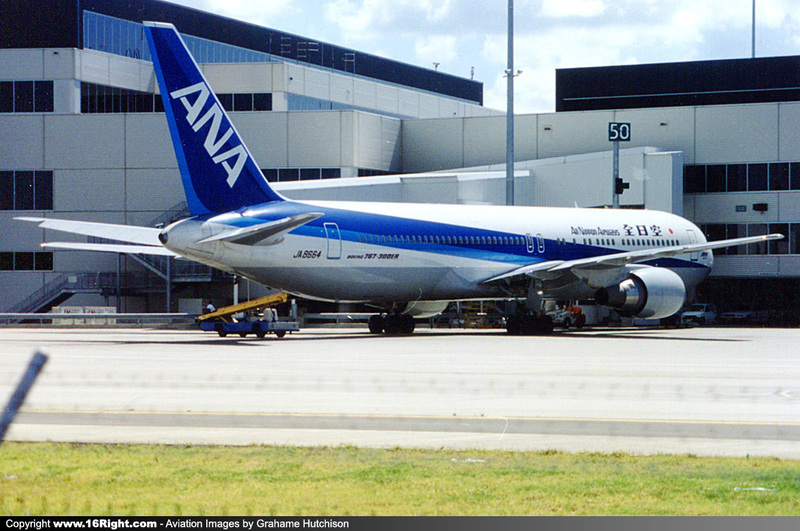 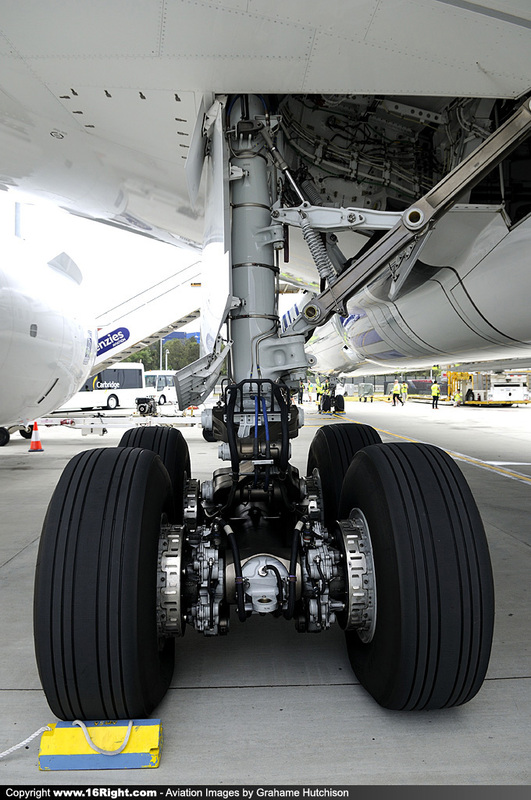 The route links Sydney with Haneda Airport for fast access to central Tokyo. 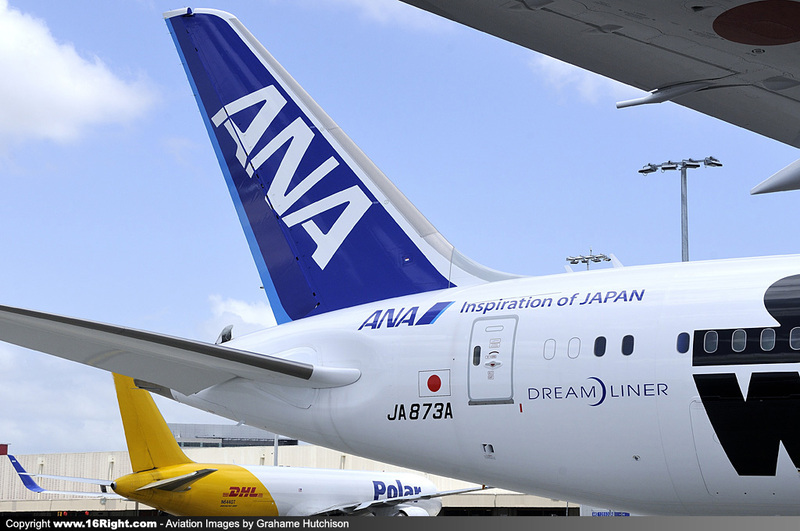 An early morning arrival also lets passengers conveniently connect with our domestic flights to more than 40 airports throughout Japan or fly on to Europe the same day on our Kangaroo Route. 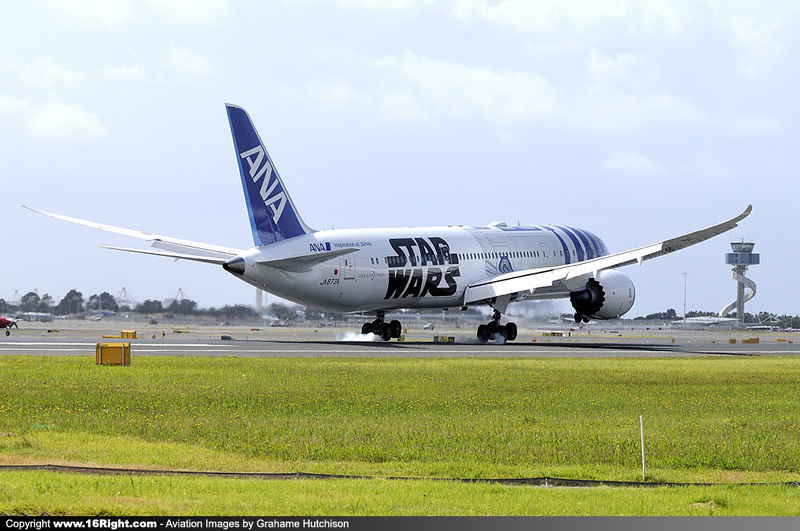 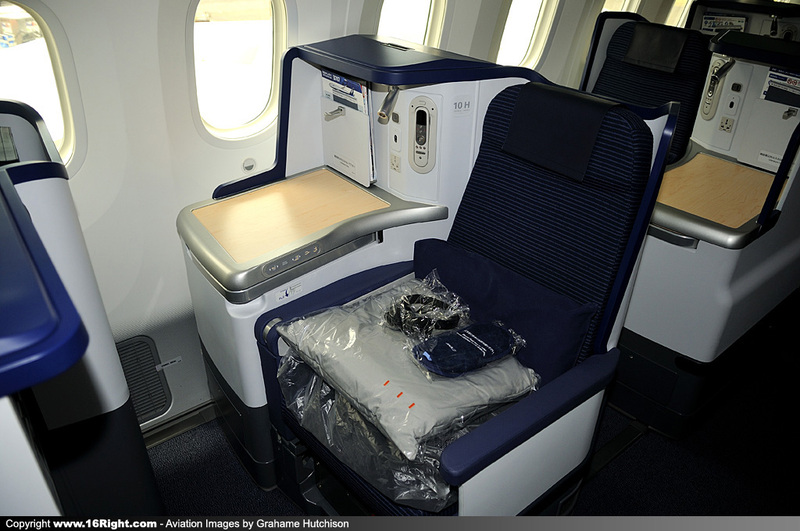 Business Class passengers can spend their transit time relaxing in comfort in the Haneda ANA Lounge, which we completely refurbished this year." 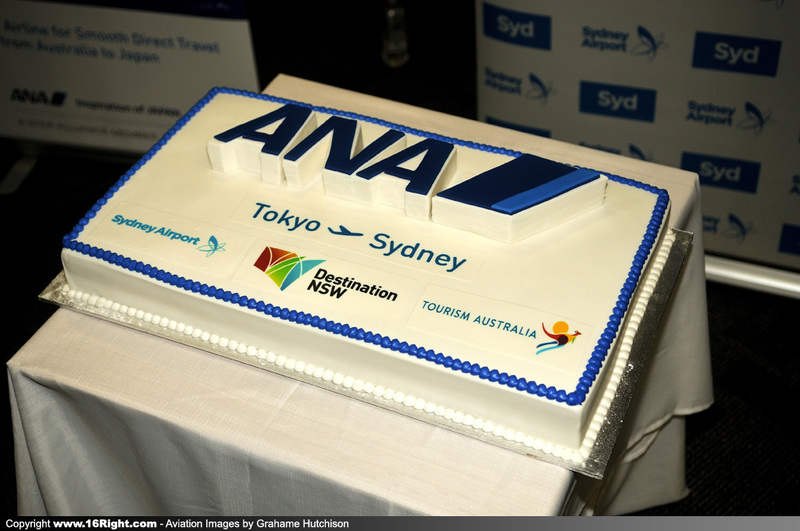 Representing NSW Premier Mike Baird, NSW Parliamentary Secretary for Major Events and Tourism, Jonathan O'Dea MP, said, I'm pleased to welcome the arrival of ANA's first daily direct service between Tokyo-Haneda and Sydney, which will encourage more people to explore New South Wales and Japan, and increase trade and business opportunities for companies based in both countries". 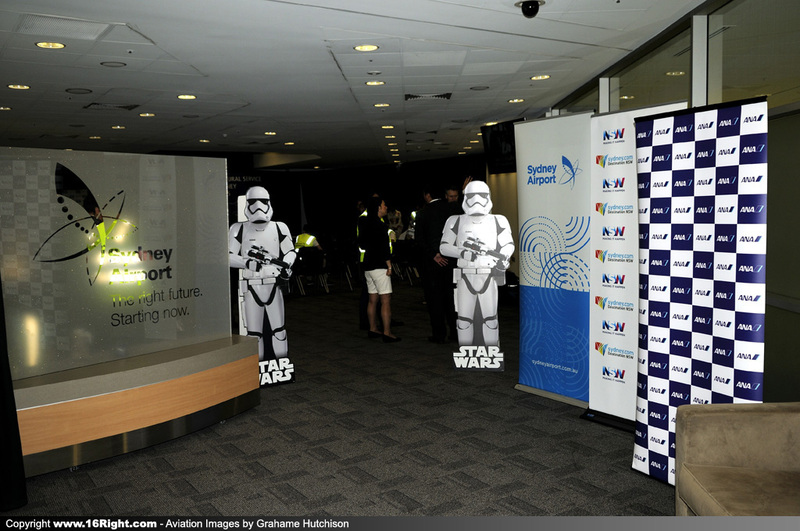 The fine print under Star Wars logo says "STAR WARS Copyright & TM 2015 Lucasfilm Ltd. All Rights Reserved. 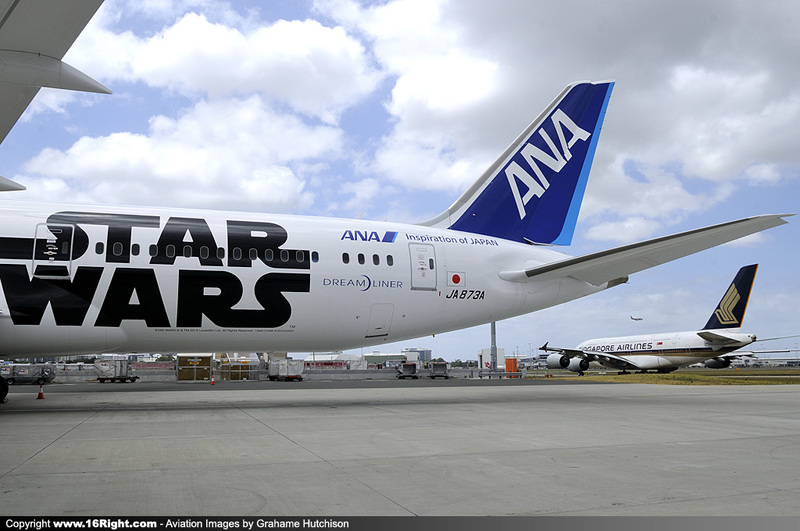 Used Under Authorization"